Biophytis is a biotechnology company developing drug candidates that stimulate resilience to stress to reduce disabilities caused by age-related and genetic degenerative diseases. 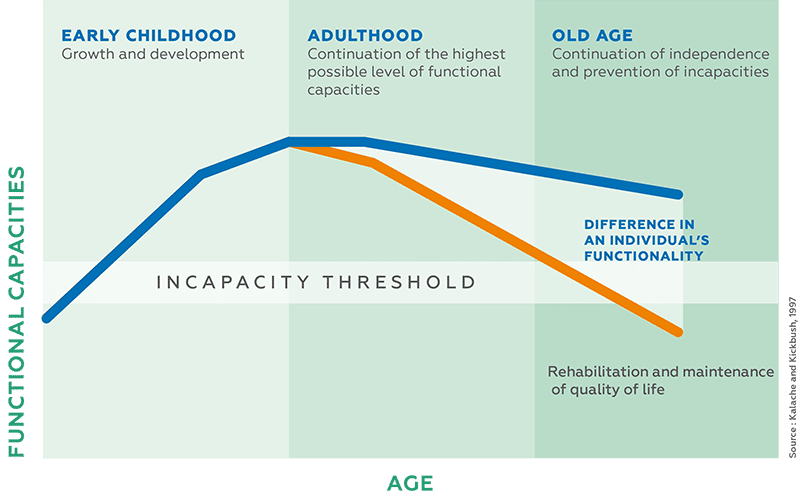 Both aging and genetic diseases increase the body’s vulnerability to stress, which results in increased cell and tissue degradation, and ultimately the development of disabilities, such as loss of mobility or vision. Aging populations are having a huge effect on Western societies as well as those of Japan, China and Russia. The elderly population in these societies already represents hundreds of millions of people. This number is set to double between now and 2050, reaching as many as 2 billion (source WHO). However, increased longevity can result in a long period of impairment. Subject to limited research until now, age-related diseases (neurodegenerative diseases, muscular dystrophies and ARMD etc. ), which are characterised by the progressive degeneration of one or more organs, are rapidly becoming more prevalent. Living conditions such as quality of nutrition, physical activity and stress factors, have a major influence on these diseases. They can be very incapacitating and represent a social distress factor. Managing these illnesses costs health services billions of euros. SARCONEOS has the potential to be the first approved therapy to preserve mobility and strength in patients with sarcopenia, a progressive condition affecting 50 million people worldwide that leads to loss of independence and decreased mobility in the aging population. SARCONEOS has the potential to preserve mobility and muscle strength and function in ambulatory and non-ambulatory patients with Duchenne muscular dystrophy (DMD), a fatal genetic disorder with no known cure. MACUNEOS is the first representative of a new class of drug candidates intended to bind PPAR (nuclear receptor) to prevent vision loss in patients with dry age-related macular degeneration and other degenerative eye diseases, including Stargardt disease.